Council is working with the people from the Merimbula Lake and Back Lake catchment areas to finalise the draft Flood Study for both lakes. The NSW Office of Environment and Heritage and the Federal Ministry of Police and Emergency Services are supporting Council by providing technical assistance and grant funding through the Natural Disaster Resilience Scheme. The study is being prepared to meet the objectives of the NSW State Government's Flood Prone Land Policy and will establish the basis for subsequent floodplain management activities. 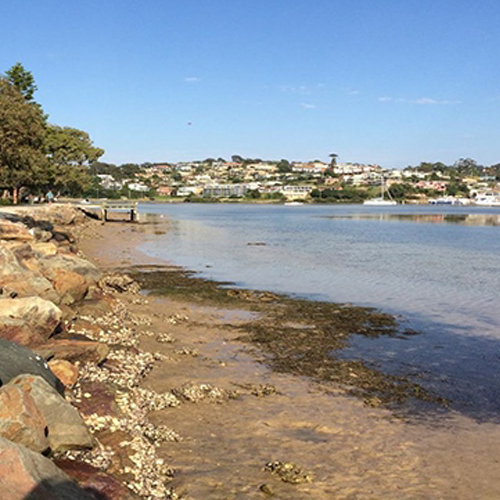 Project Manager, Gary Louie said the Merimbula Lake and Back Lake communities had already made a significant contribution during workshops held in August. “The two workshops were well attended by a range of residents, community groups and the Mayor,” Mr Louie said. “A very helpful dialogue was held with a presentation of the draft findings, as a result some minor amendments were identified and substantial progress was made towards finalising the study,” he said. As part of the ongoing public exhibition for the draft Merimbula and Back Lake Flood Study, Council invites the community to attend another two drop-in information sessions. The sessions are an opportunity for questions and to find out about the draft study findings and provide comment. The sessions will help inform any residents who wish to make a written submission before the public exhibition period closes on Friday, 30 September 2016. The community drop-in sessions will be held on Wednesday, 21 September from 5.00-7.00pm and Thursday, 22 September from 12.00–2.00pm in the Sapphire Room at Club Sapphire, Merimbula. Each session will involve a 10 minute presentation with opportunity for questions and private discussion afterwards. Interested locals should post or email submissions before 4.00pm on Friday, 30 September, online submissions and comments can also be made through Council’s Have Your Say webpage. Visit the project page at www.begavalley.nsw.gov.au. For more information call Bega Valley Shire Council on (02) 6499 2222.